What we know, and what we don’t know we don’t know, and what we don’t know what others know or don’t know. WHEW! 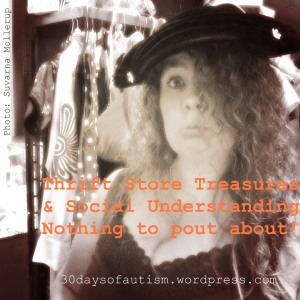 Today my boy and I were skulking in a thrift store – hunting for treasures. It is one of our favourite pass-times: something we can do together, an adventure of sorts, and always there is the promise of finding something absolutely remarkable. For me that would be some lovely 1940’s kitsch, movie memorabilia, photos or art, or old miscellaneous collectible bits and pieces. For H the treasure could include old movies or electronics, retro pop culture stuff, anything Star Wars or Star Trek, or even a really cool hat. #TheShortBus : My Ride Is Not Your Joke! So I actually *am* autistic, but I still maintain that you aren’t helping! Food for thought – we neurotypicals sometimes really need to get out of the way. Things have been silent recently. I’ve been a bit busy and also I’ve been going in for some testing. Yesterday I’ve had to face a reality that I’ve been cringing away from for years. Namely, that I am actually on the autistic spectrum. Ideally I’d have been diagnosed when my mother brought me into the doctor as a small child. She knew I was weird. But way back then, I didn’t fit the diagnostic criteria. 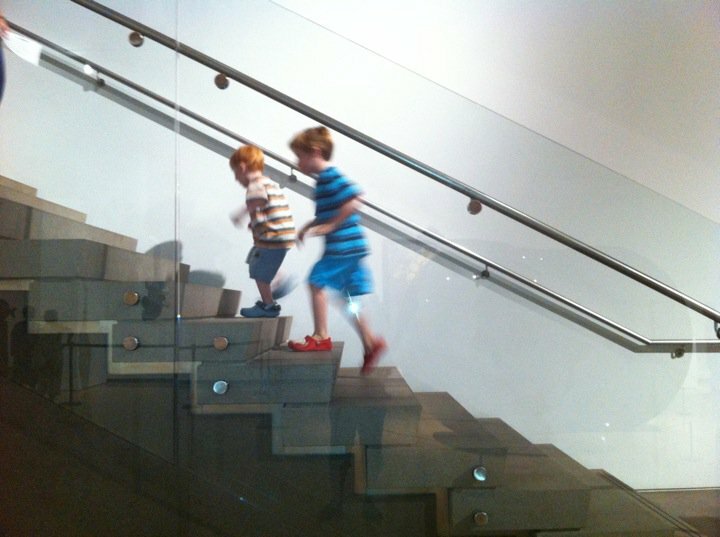 Autism was split into several separate disorders, most of which were fairly unknown. Autism, Aspergers, etc. A few years ago, though, they collapsed all of the disorders into one diagnosis. Autism Spectrum Disorder. They made the criteria much more broad. So the picture of autism, and Aspergers that I fought for so long is not the diagnosis that I’ve gotten.